It’s been a little while since my last video… so I decided it’s about time!!! 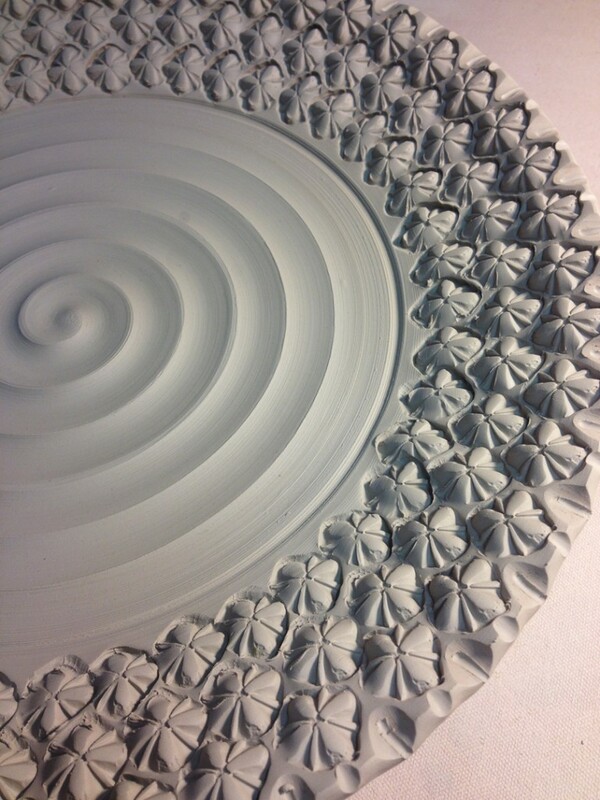 This platter was made with B-Clay, and was a little bit softer than I would normally like for stamping. But with my busy schedule this week, I knew that I had limited time in the studio. So… go for it now?… or wait and run the chance of it drying up too much? Of course I decided to go for it!!! and hope that the stamp doesn’t “stick” when it gets a little damp. 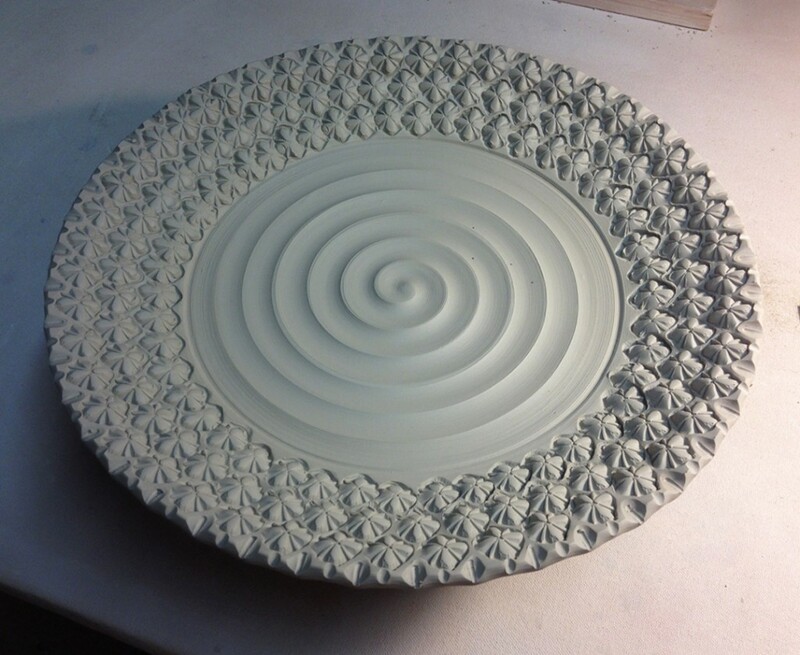 Click here for my latest Platter Stamping Demo on YouTube. 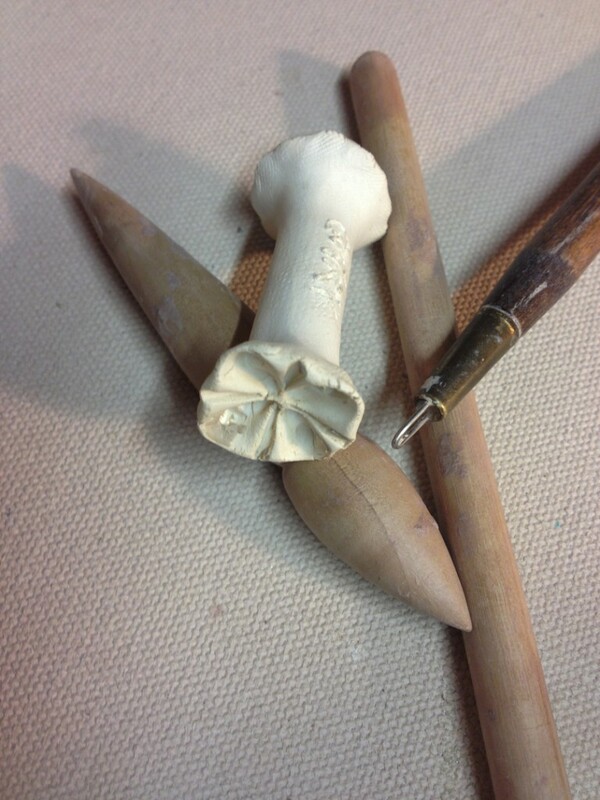 one handmade stamp, two wooden tools and a thin sgraffito loop tool.